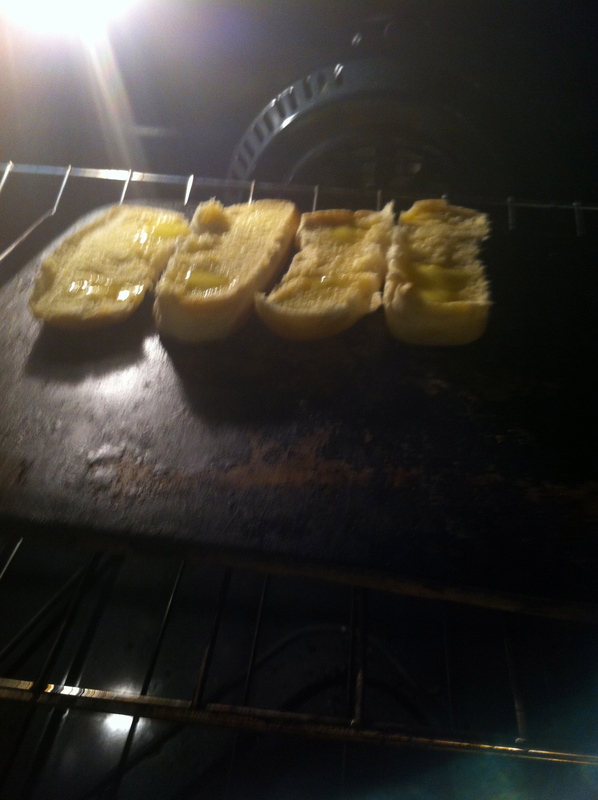 Craving garlic bread to go with your boring old spaghetti? Grab some hotdog buns and create this classic masterpiece. Subtext: This blog post is written in response to the self-inflicted inferiority I feel when cooking something that is not “pin-worthy.” Spaghetti is still delicious, even if everyone can make it!